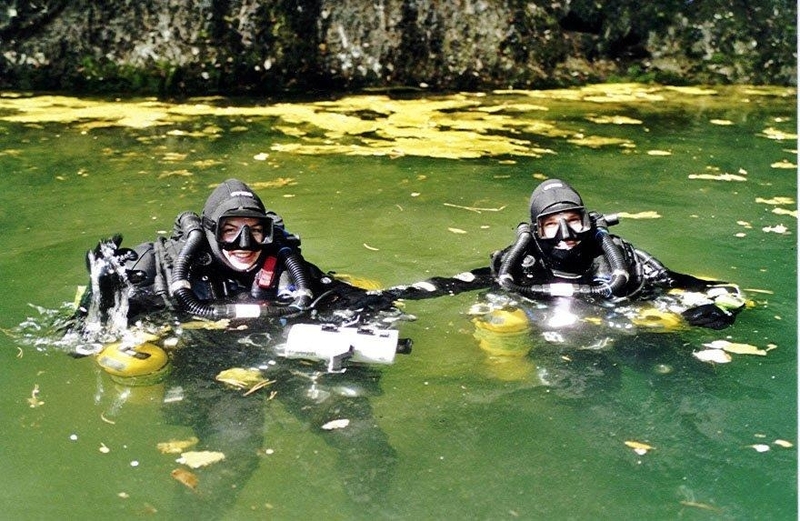 Following on from our overview of the cave environment and why it is so appealing to cave enthusiasts this instalment will look at threats to this environment, and how divers can help to protect it for the future. Caves are made of rock so how much damage can a diver do? Sadly, we can do irreparable damage. We all know that damaging a coral reef can undo decades of growth but did you know that if you damage a cave it is unlikely to ever be replaced or repaired! Fragile rock, fossilised remains and soft sediments have formed over such long periods of time that any impact you make will be visible for thousands of years. Each cave has it’s own unique beauty as well as scientific value and the potential to reveal further information in the future. Cavern and Cave divers, as lovers of this environment, should be ambassadors and ensure they do nothing to deface or damage it. Take Extra Care if you are using DPVs or staging cylinders or other equipment. Don’t forget that all land is owned. Only dive in places where the land owner has given their permission. 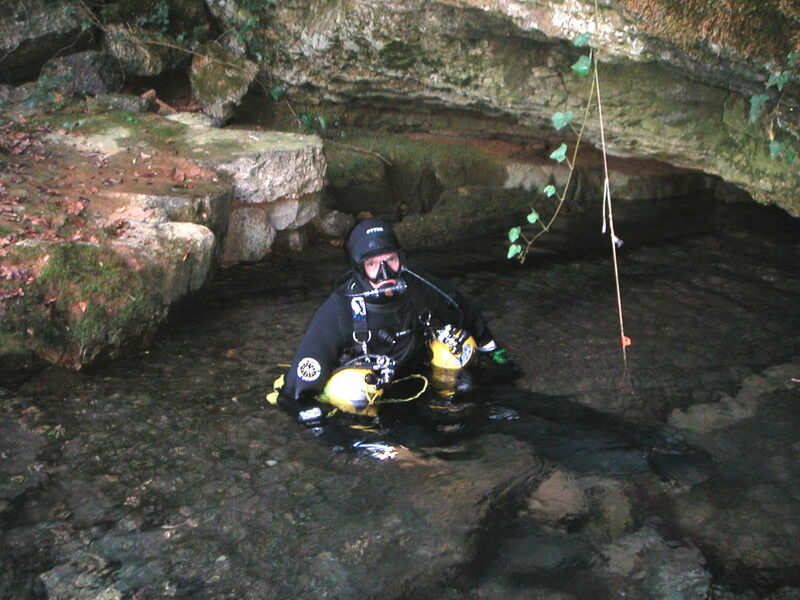 Diving without permission gives cave divers a bad name, jeopardises delicate negotiations for future access and, in some countries, can result in legal action, confiscation of equipment and/or vehicles. Cave Conservation – a wider problem. 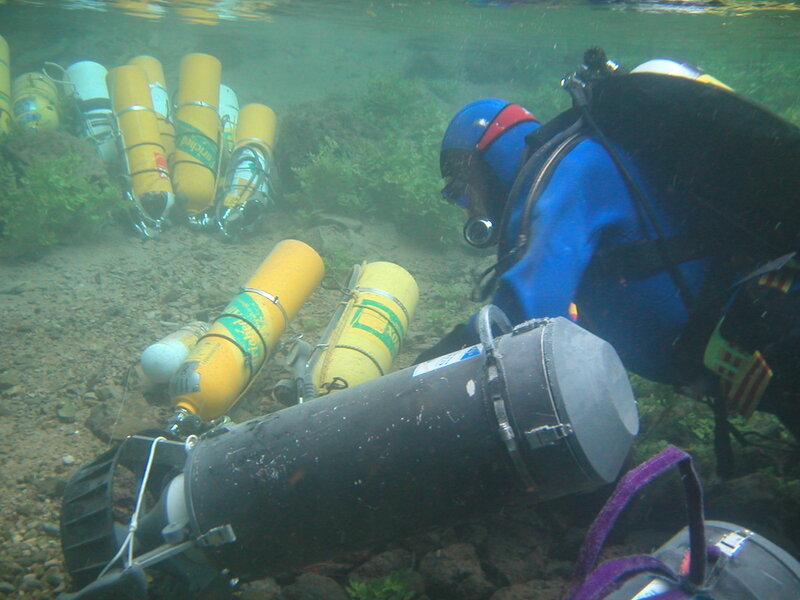 Sadly as with any environment the cave environment is under pressure from outside sources. A growing population’s demand for water. If too much water is taken from cave systems the water pressure drops and cave collapses become more likely. Caves suffer from water quality problems similar to that of lakes and rivers where agricultural and industrial processes and by products can cause contamination. Waste and sewage management in highly populated or tourist areas can also cause contamination. Building projects in areas where cave passages are only a short distance below the surface can cause damage, contamination and destabilisation. Most of us don’t have any direct involvement with the organisations and companies that threaten the cave environment but developing an awareness of the issues is essential so that we can make educated choices on everything from where we stay on holiday to choosing our political representatives. The final word comes from my cave instructor trainer who not only introduced me to caves and a lifelong love affair with cave diving but has also lived with me ever since (Coincidence?!) Whether diving in a cavern or cave or even visiting a dry cave he used one phrase to encompass both our attitude and actions; he taught me to Cave Softly. References: * From the NSS (National Speleological Society) Cave Conservation guidelines. The NSS is an organisation dedicated to caves, the study, enjoyment, exploration and protection of them.